A standard ACL works with IPv4 or IPv6 traffic at layer 3. The name of an ACL is arbitrary so it may be named in a way that makes its purpose obvious. ACLs consist of one or more rules, defined by a sequence number that determines the order in which the rules are applied. A common practice is to start numbering at a value higher than 0 or 1, and to leave gaps in the sequence so that rules may be added later. For example, the first rule could be 10, followed by 20. 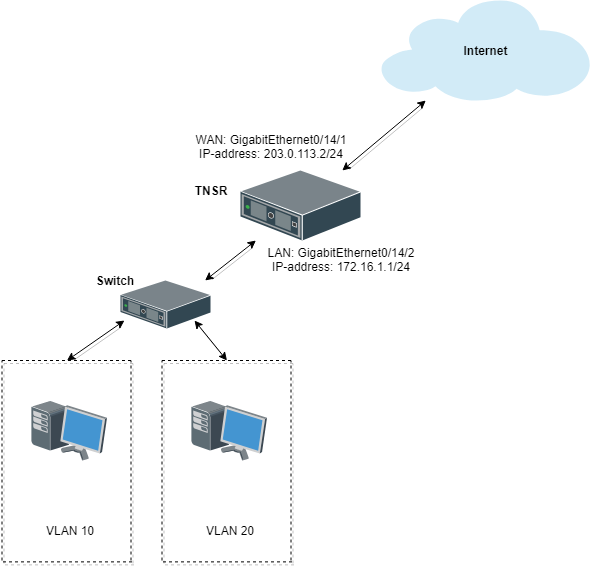 Rules 10-30 allow SSH, HTTP and HTTPs access to the WAN IP address from the Remote Admin Host. Then Rules 40-60 block SSH, HTTPS and HTTPs on the WAN IP address from all other IP addresses. Finally, the rule allows all other incoming traffic.